Cindy came to the Palouse to attend the University of Idaho and liked it so much she never left. She and her husband Paul have been married over 30 years and have 4 grown children. A Realtor since 2000, Cindy is very involved in her church and community - participating in many local service clubs as well as state politics. 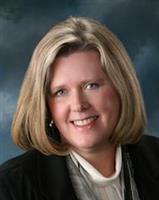 Cindy is the current State Director from this region for the Idaho Realtors Assoc. She is familiar with all types of real estate, and especially loves rural living and helping families find their home on the Palouse.